If you're looking for some soft blocks for your little one than this is the perfect set. It comes with 18 chunky, soft, vinyl blocks that store easily in a storage tub. Your child can chew, throw, sort and play with these soft blocks for hours. 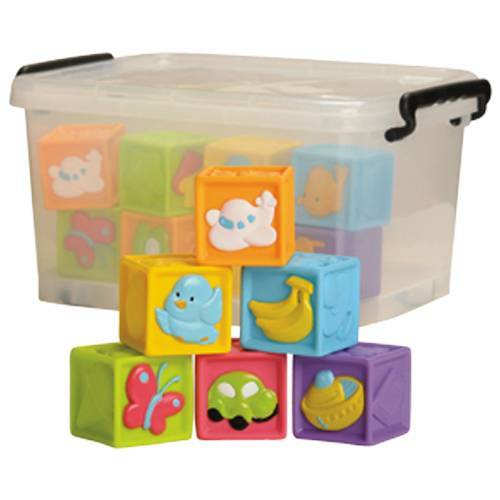 Blocks come in assorted colors and with assorted animals and shapes on the sides. This set of blocks is a perfect gift for that young toddler in your life.